Cairo is the capital of Egypt and the largest city in the country, with a population of 6.76 million people. Sakkara lies 25 Km south of Cairo. Djesers' step pyramid is believed to be the first pyramid ever built, also one of the largest. The pyramids were built on the assumption that it would stop grave robbers from stealing the riches that were buried with the Pharaohs. 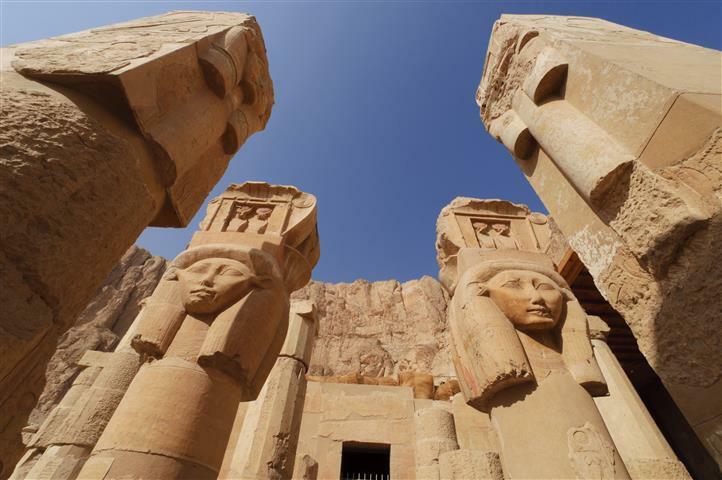 Hatshepsut Temple: It is a breathtaking site to see the Hatshepsut Temple with a back drop against the mountains. 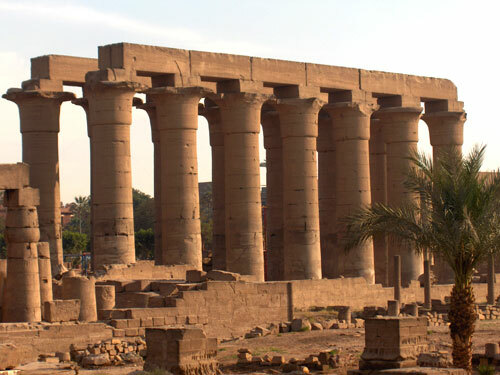 Luxor is a place with ruins like none other, and there are plenty of them. 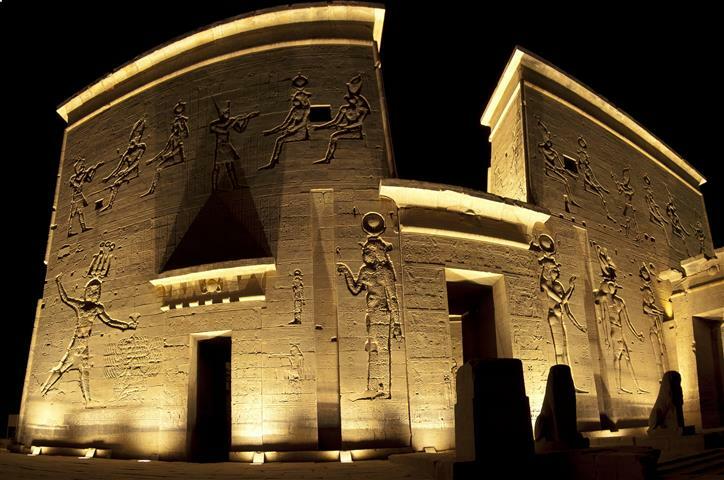 It is situated in the upper South of Egypt. Valley of the Kings, is where most of the kings and nobles were buried. Most of them have been robbed and looted, but you will be able to see the hieroglyphics on the walls, and the elaborate care and workmanship that was put into constructing the tombs. Ben Ezra synagogue is believed to be the place that baby Moses was found. In the 19th century sacred manuscripts were found here. Pick up from your hotel in Eilat at 21:00. Drive to the Taba border where you will be met by the Egyptian team and travel into Egypt. This is about a 10 hour drive. Arrive in Cairo and visit the Egyptian Museum. After lunch visit a papyrus institute for a demonstration of how paper was made and an explanation of hieroglyphics. Travel to your hotel for overnight and a free evening. (Optional Dinner Cruise on the Nile for an extra fee). 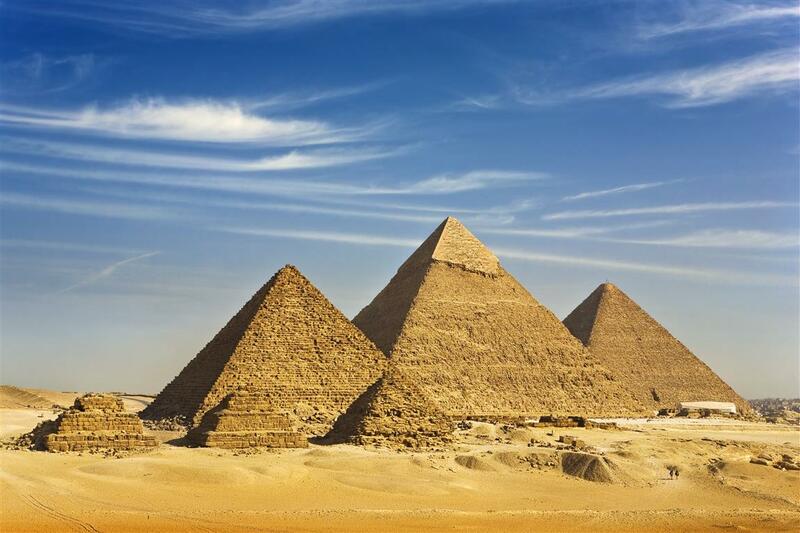 Visit the Cairo Pyramids and the Sphinx. Visit Bazaar - packed with spices, perfume, copper ware, & trinkets, where those who wish to can purchase souvenirs. Depart Cairo, to the train station to catch the sleeper train to Luxor and overnight (about 9 hours). An early morning, we continue our touring in Luxor, by visiting the West Bank - Valley of the Kings. Arrive to Cairo in the morning to start your tour. Tour ancient Cairo, starting with a visit to the Coptic Church and then visit the Synagogue of Ben Ezra, Cairo’s oldest synagogue. Continue on to the Citadel of Saladin. Departure Cairo and drive back to Taba (about 10 hours). 1 night 3 star hotel on B/B basis. Meals and drinks no stated as included. Have a valid passport and landing card. We require nationality, passport number, date of issue, expiry date and birth date for reservation. Voucher and visa/tax/tip money - in cash only (payable in U.S dollars, Euro, Pound Sterling or Israeli Shekel. Personal insurance is not included.